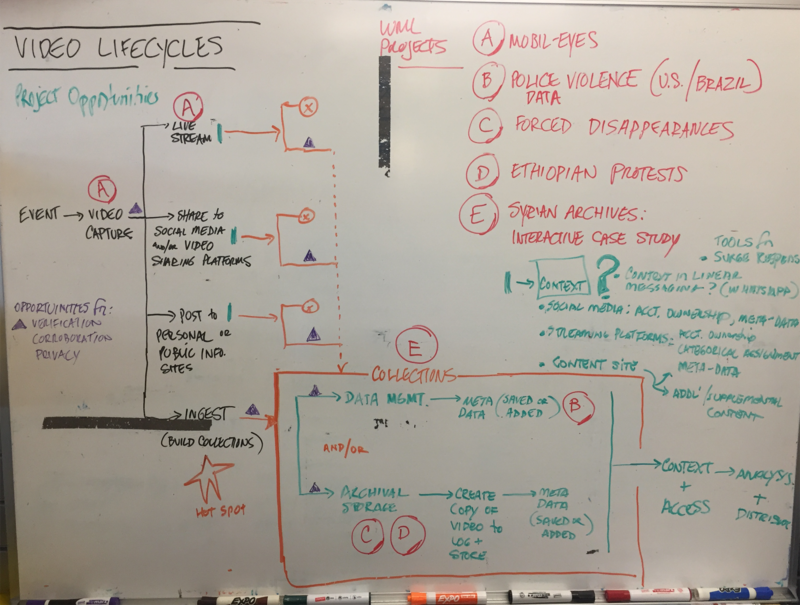 We first consulted with the WITNESS program managers to better understand the challenges of managing, and storytelling, with a constantly growing repository of video assets. 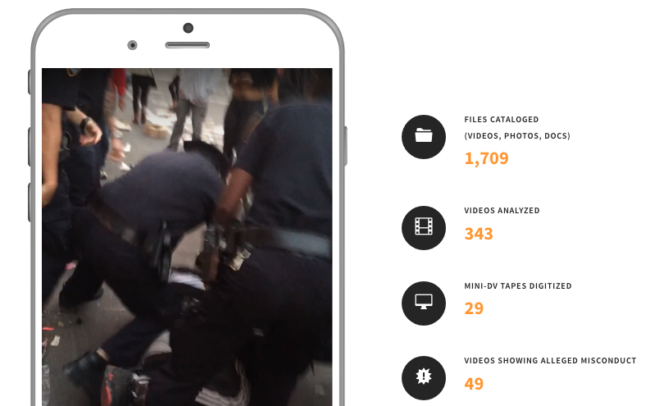 Just a few weeks into logging and describing videos — and consulting with activists and organizations working on similar police accountability projects — we landed on the idea of creating “dossiers” for each of the serial abusers in our sample. A crash in Design Thinking, resources to help you facilitate a 90 minute design challenge. As a part of the meta tagging process, we researched each recorded incident for corroborating content. We found that despite the public awareness of the abusive encounters, very little in the NYPD practices reflected that information. 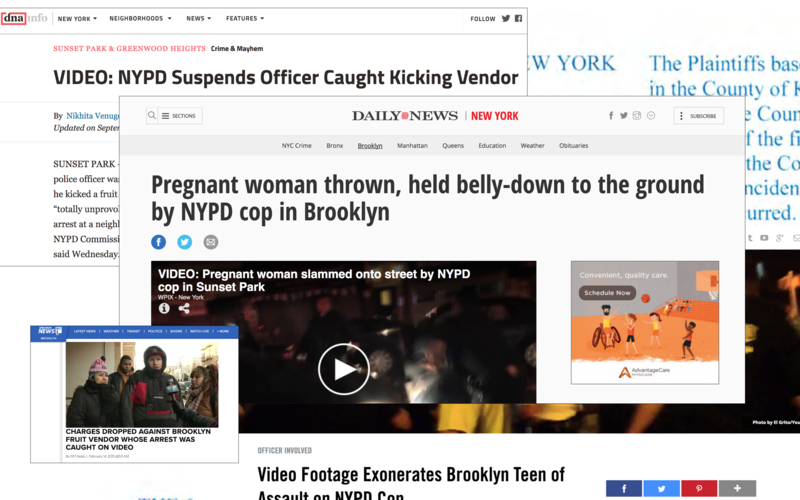 On a few occasions, generally when cases reached a high profile because of the video documentation, officers were disciplined and called out publicly. Recognition from elected officials, salaries that exceeded departmental averages, and extensive overtime were commonplace. 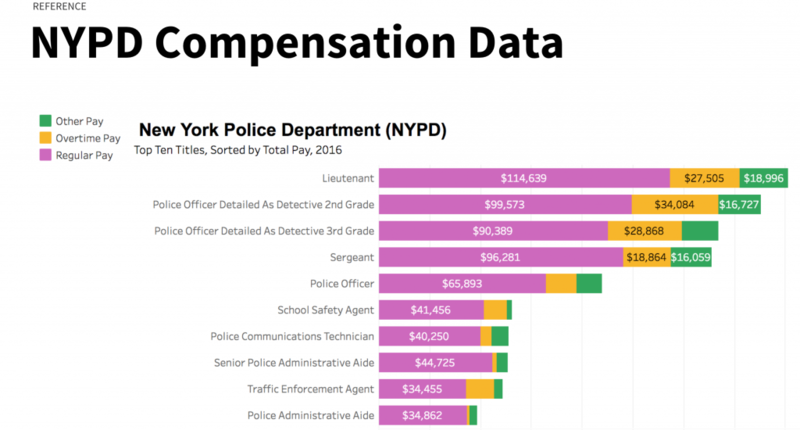 Despite documented history of abuse, negative media, legal proceedings, and videos showing violent acts — these abusive officers were being rewarded by the NYPD with regular raises, most greatly exceeding departmental averages. 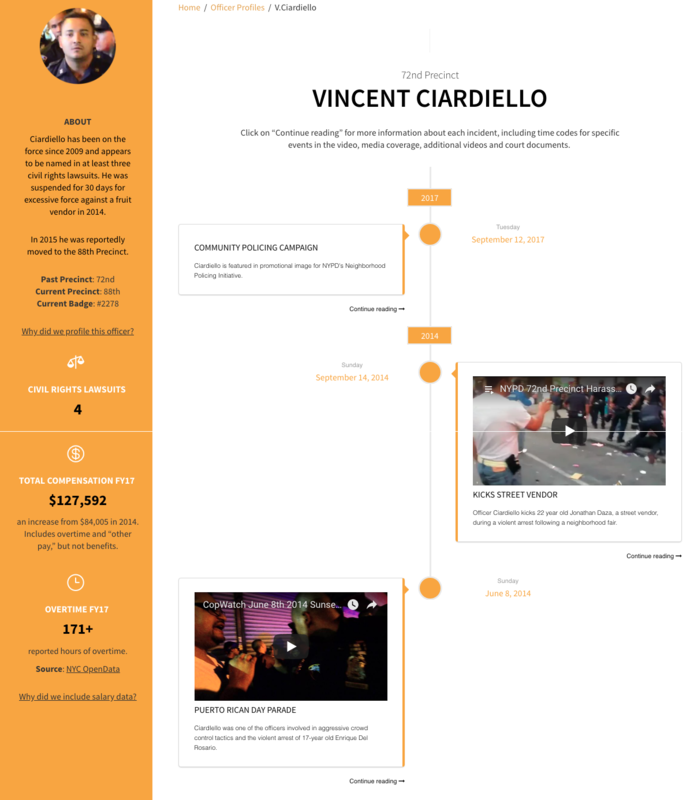 To show ongoing abuses overtime in the context of other data points, especially compensation & reward — we put each video and other events on a timeline. The adjacency shows a disconnect between professional behavior and departmental rewards. Our prototype is meant to show how stories could be not only crowd-sourced, but provide information in real time. 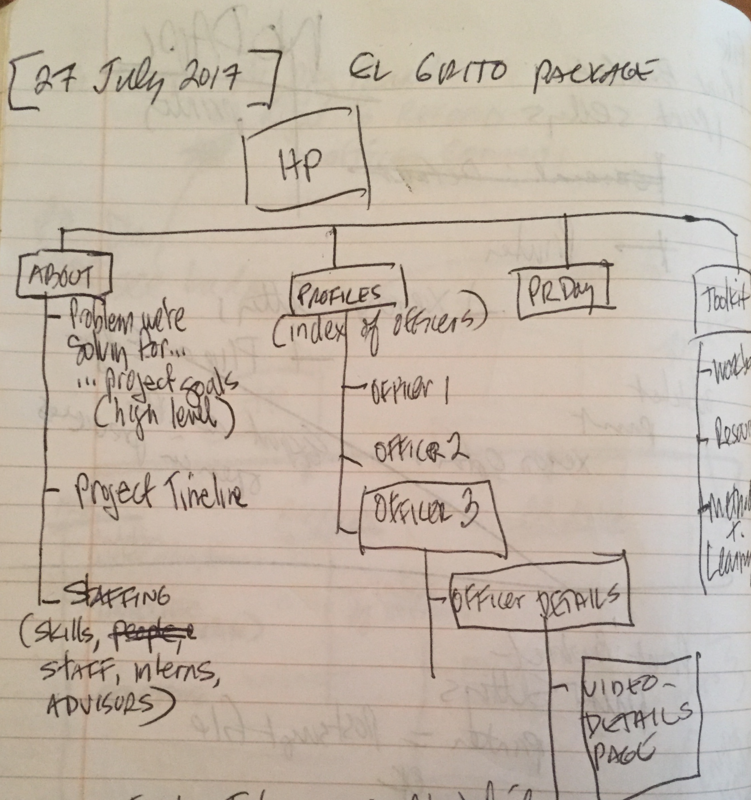 We decided that a vertical timeline would best feature the most recent events as well as create space to include other data points in adjacency. 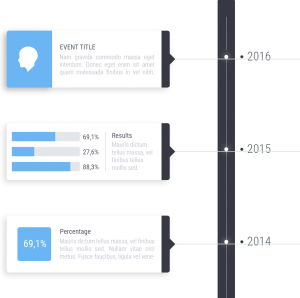 To create the timeline in our WordPress prototype, we used a commercial plugin (WP Timeline, $24) that was responsive, supported video play, included both vertical and horizontal timelines, and was compatible with a number of design apps including Visual Composer and Tatsu. For quick sketch exercises, we used Freepik.com — a great resource with many free or low cost graphics, images, and icons. 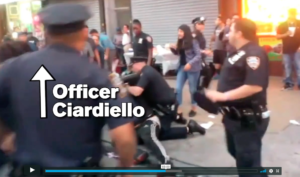 It can be hard to make sense of what is happening in videos of police abuse. Events unfold quickly, identifying officers can be challenging and sometimes the camera is shaky or far away. We decided to edit the videos that appeared in the timeline to make it easier to identify the officers and understand the events as they unfolded, especially when multiple camera angles were available. We used additional documentation such as court documents, testimony and news articles to corroborate our analysis. 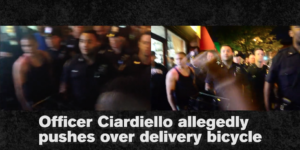 If you edit video documentation of police abuse, remember to always work from a copy – never edit the original. Be sure you only include factual information and don’t manipulate the footage to make it look like something happened that did not happen. With that in mind, we created minimal, illustrated data points, to quickly convey our findings. 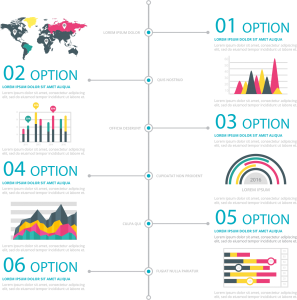 Data visualizations are becoming the norm. We found several that supported our narrative. 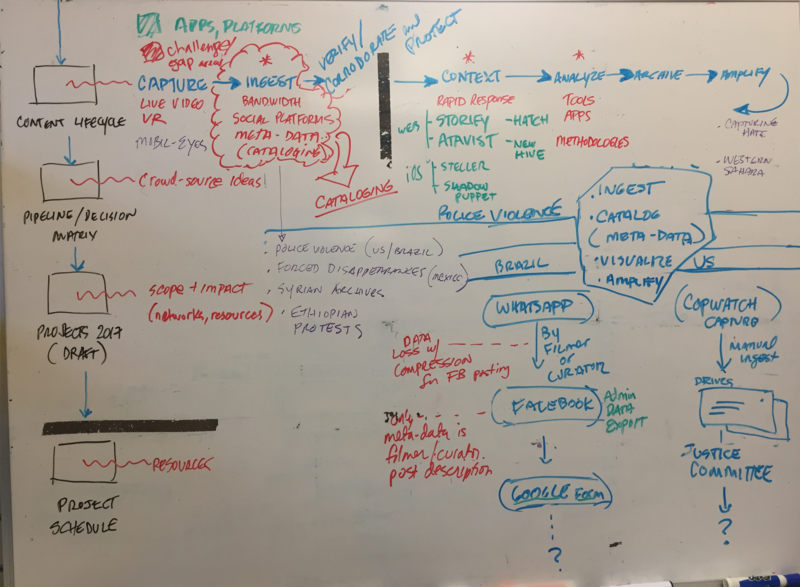 We used the following applications, platforms, and graphical resources to create our prototype. Multi-purpose theme from Oshine with many pre-built demos, and drag-and-drop page builder to add functionality without needing to code. For workflow, sitemaps, and wireframes we the Mac-based application Omnigraffle. Its robust digital asset library is good resource for non-designers. Workbook and worksheet layout and design.